Winter is coming. Are you ready? Texas winters are unpredictable and susceptible to extreme lows in temperature and massive snowstorms. In the dead of winter temperatures often below zero. When your heater breaks down it’s more than just a minor inconvenience. It can compromise your family’s safety within just a few hours. So if it’s been a while since you’ve had a professional tune-up, then now is the time before cold weather sets in. A heating tune-up gives you peace of mind knowing that your heater will be there when you need it most. All filters are check and changed. All electric connections are tightened. Blower is checked and adjusted. Other than high quality performance, one of the most immediate changes you’ll notice is a decrease in your energy bill. 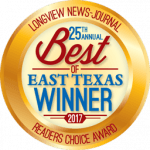 Preventative maintenance keeps your Longview and Tyler heating system running up to 30% more efficiently which saves you considerable money each month. When your equipment is running in excellent condition it doesn’t have to work as hard in order to achieve the results you are looking for as a poorly running system. An older system that is neglected will inevitably need major repairs downt the road. Dollar for dollar, major repairs are far more expensive than a routine tune up. Ongoing maintenance allows you to tackle small problems along the way before they turn into big problems. You can avoide needless repairs and even system replacement by simply taking care of your equipment. Routine maintenance needs to be conducted at least once a year, but preferably before the summer and winter months before temperatures hit their highest and lowest. During the winters months, you need to be able to depend on all the equipment to run smoothly when temperatures go below freezing. A routine tune up in Longview and Tyler will insure that all the parts in your system are running like they should, so that you can make it through both the cold and hot seasons of the year. 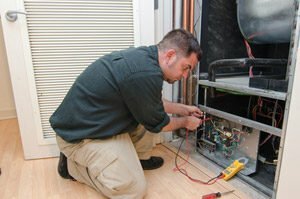 You never want to jeopardize your family’s comfort and safety and put yourself in a position where you are trying to contact an HVAC technician in the middle of the night. You can feel confident knowing that your heater will take care of you during the cringe moments!